This is a 35 mile circular route which starts and finishes in the pretty North Yorkshire village of Studley Roger. The undulating route follows the northern section of the Ripon Rowel and takes in varied terrain including the trail, woodland and moorland of the Nidderdale Area of Outstanding Natural Beauty. The race finishes with a wonderful downhill run through Studley Royal deer park and back into Studley Roger. This is the perfect event for anyone looking to test their endurance over an ultra distance. All proceeds from the Round Ripon Ultra will be donated to charity by Ripon Runners. The relay event is completed by a 5 person team, although competitors can run multiple legs if they choose. There will be the following approximate distances between checkpoints (not suitable for wheelchairs, prams or pushchairs). Race Headquarters, in Studley Roger Village Hall, will have free tea and coffee and toilet facilities. The route will have 4 well stocked check points run by cheerful volunteers and additional water stations. Each check point will have water, sweets and cake with additional savouries and toilet facilities at CP3 (approx. 19 miles). A medal and T-shirt will be provided to all individual finishers. There will be prizes and trophies awarded to the first 3 Male and 3 Female runners as well as Age category winners. A team trophy is also presented to the team of five runners, with at least 1 female runner, with the lowest cumulative time. All of the team must be from the same club and complete the full course individually. A T-shirt will be provided to each team member at the end of the run. There will be a prize for the fastest relay team. Minimum Age: Individual runners 20 years, relay team runners 17 years. The time limit is 10 hours. Progressive cut off times exist at the following check points. You should carry the relevant equipment for the conditions, including – waterproof jacket, hat, gloves, emergency food, water. This also includes a fully charged mobile phone with the race director’s number in, for cases of emergency. 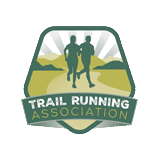 The round Ripon Ultra 35 Mile is run under UKA rules. Entries may be made on the day subject to availability.